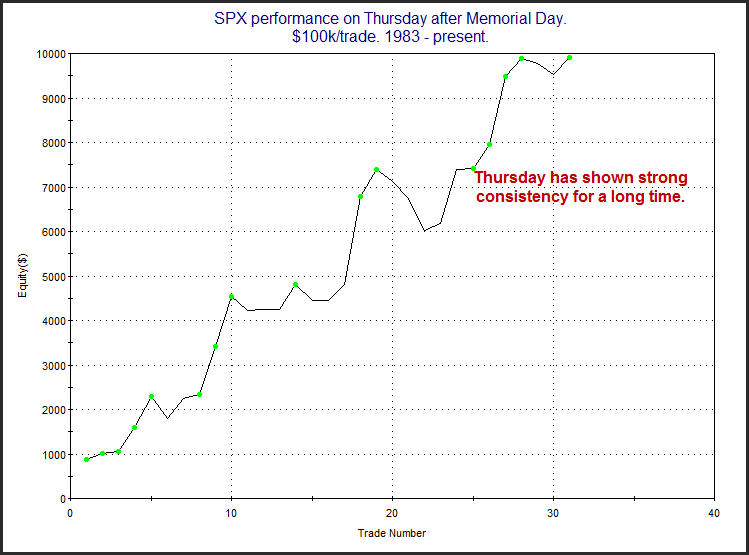 A few days ago I examined Memorial Day week seasonality. After exhibiting a positive bias for many years, the last four years have struggled. But that has not been the case on the Thursday after Memorial Day. Thursday has maintained a steady upward bias. This is illustrated in the chart below.